One of the best things you can do when you’re trying to figure out how to organize your home is to set up a good system for capturing ideas. Do you have trouble remembering all of your good ideas? Do you remember what you learn more when you write it down? 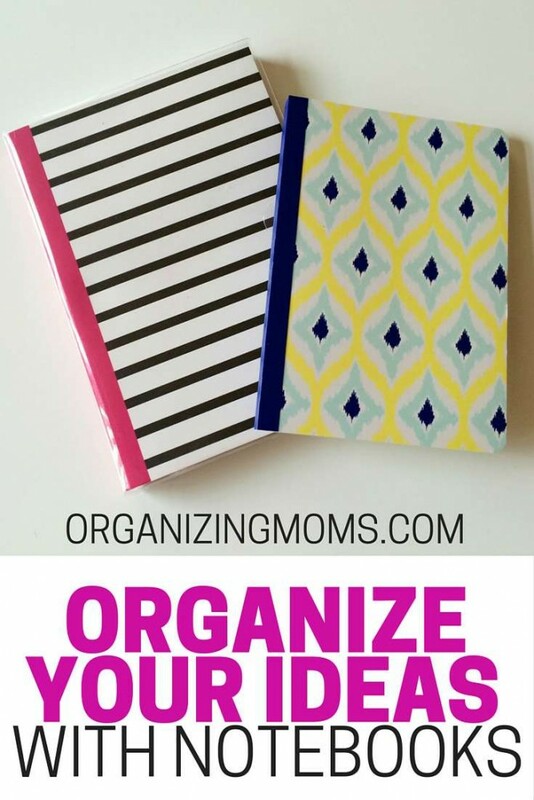 If you said yes to either of those questions, you might want to organize your ideas with notebooks. I am obsessed with finding cute, inexpensive notebooks. When it’s back-to-school time, I’m in heaven every time I go to the store and find cheap notebooks that I can use throughout the year. I started out using my notebooks to help me remember ideas, and as a place to work out plans. Over the years, I’ve slowly started keeping different types of notebooks for different purposes. Writing down ideas, making lists, and planning things out on paper has always helped me to organize my thoughts. I have never been able to use my smartphone as a place to store ideas. Writing things down helps me to remember things, and make better decisions. The Idea Notebook. My first notebook was just an idea notebook. I took it with me to work, and anytime I had a business idea, an idea about a cool project, or anything else, I would write it down in my notebook. 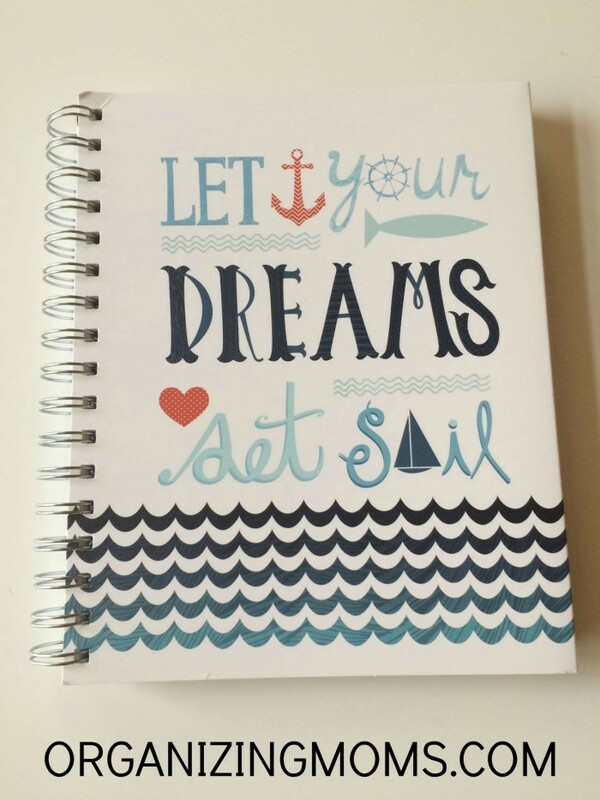 After a while, I jokingly called it my “notebook of dreams that may never come true.” Using the idea notebook helped me separate the good ideas from the bad ideas. The To-Do Notebook. I also had a smaller notebook that I kept in my jeans pocket. This was a suggestion from Trent at the Simple Dollar. Anytime I thought of something that needed to be added to my to-do list, I would write it down in my little notebook so I wouldn’t forget to add it to my list of things to get done. Now that I’m a stay-at-home mom, I jot notes down on post-it notes and stick them on my desk so I can add them to my to-do list. The Price Book. As I transitioned into being a stay-at-home mom, I worked harder at saving money. One of the ways I did this was by keeping a price book. Of course, I used a cute little notebook! You can find out how to make a price book here. The Hilarious Things Our Kids Say Notebook. If our kids say something funny, we try to write it down. Usually we have to write about the situation too. We’ve gotten a lot better at writing down the things our kids say since we moved this notebook into our kitchen. It’s easy to access there, and are less likely to forget about it because its in a common space. Now I have more notebooks that I use, but they are mostly related to this blog. Blogging takes a lot of time and effort, and it means that I spend a lot of time in front of the computer. I’ve tried to minimize my screen time by doing some of my work in notebooks. 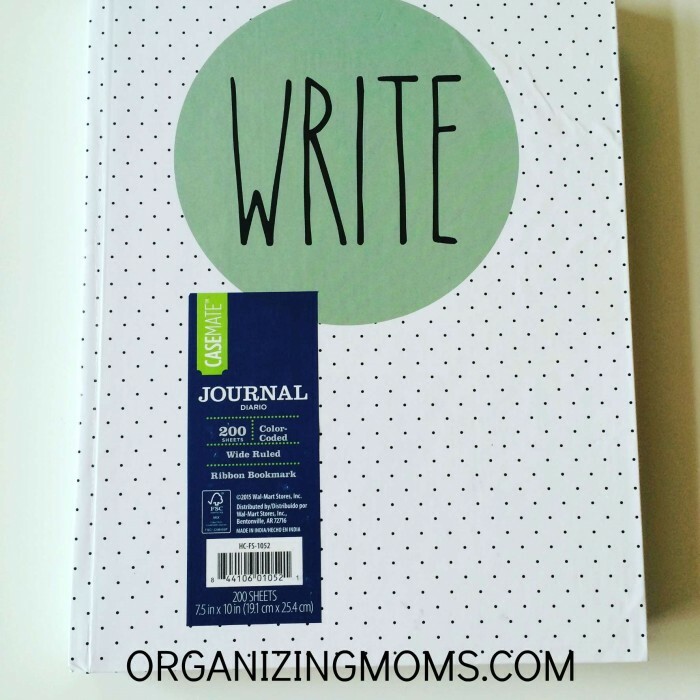 The Write Notebook – I use this notebook to outline post ideas. I find that I can write better, more-organized posts if I write out an outline first. Then, typing up the post later is so much easier. The Post Ideas Notebook – I’m constantly having post ideas, or ideas for series that I’d love to write. I capture them in this smaller notebook. The Car Notebook – I get a lot of ideas when I’m driving around town, and most of them are blog-related. I keep a medium-sized notebook in my car so I can write the ideas down. If I need to write a lot, I have the space to do so. The Learning Notebook – Whenever I learn how to do something blog-related, I write it down in this notebook. Because I WILL forget it. This is especially helpful for recording procedures for how to do technical things. Technical things are not my cup of tea. I have to write it down. 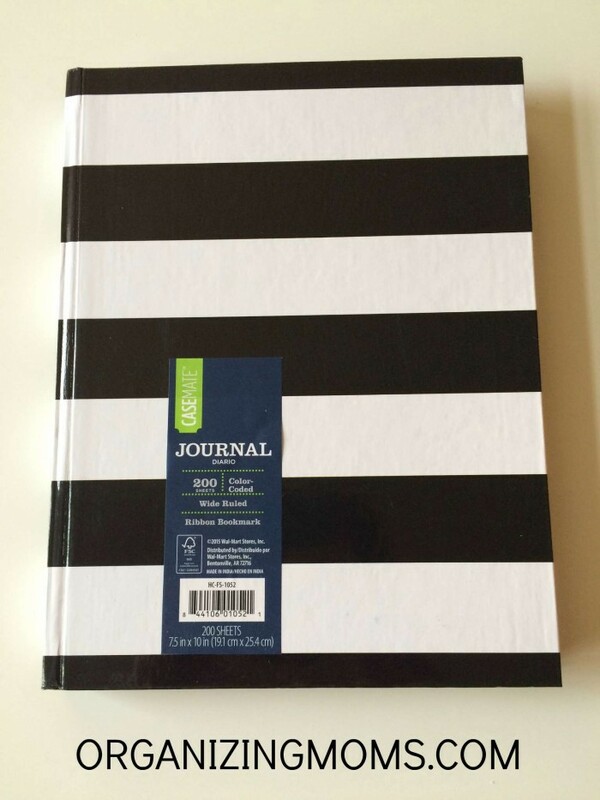 The Business Ideas Notebook – I use this notebook to think through different business ideas. Most of the ideas end up getting ditched after a week or so, but I’ve been able to think through a lot of different scenarios by using this notebook. Some of them have ended up being good ideas! Even if you don’t have a blog, you might want to consider using notebooks to help you organize your thoughts at work or for your business. I really like the portability of notebooks (no wi-fi necessary!). I’m also thankful that using notebooks has helped me to focus and spend less time staring at a computer screen. Writing things down helps me to organize my thoughts in a way that typing on my computer can’t. Using my computer or smart phone to organize ideas might be more helpful for you, especially if you’ve grown up using a lot of technology. For me, using fun notebooks is a treat that makes my everyday work a little more fun. I look forward to planning things out and recording ideas in my notebooks. Do you have a notebook obsession? Please share how you use your notebooks in the comments. 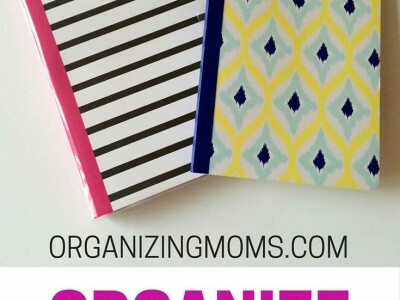 Organizing With Binders – How to set up your own paper organization system using binders.